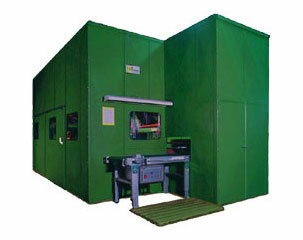 Depending on the field of use, the booths can be provided with extraction, aeration and ventilation. 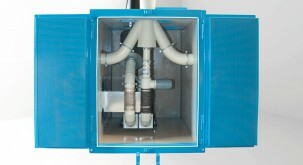 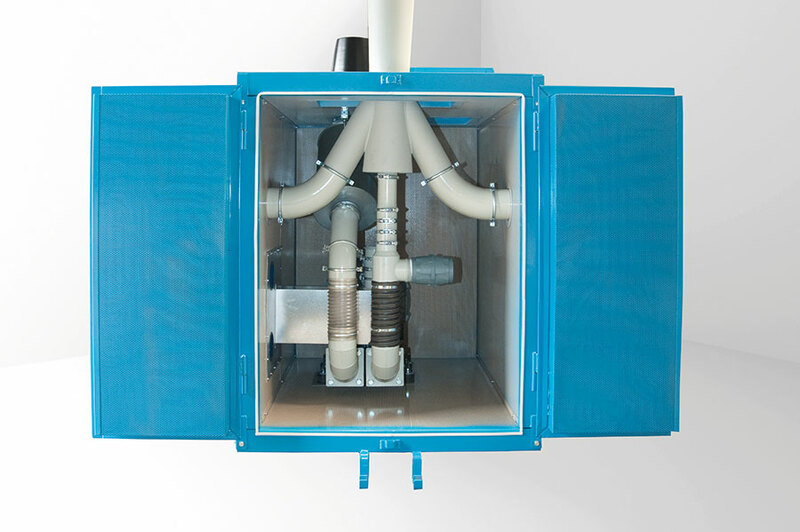 Connection takes place to VAC and extraction systems supplied with the booth or to existing systems. 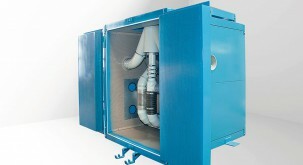 The machine enclosure shown here is fitted with generously sized maintenance doors. 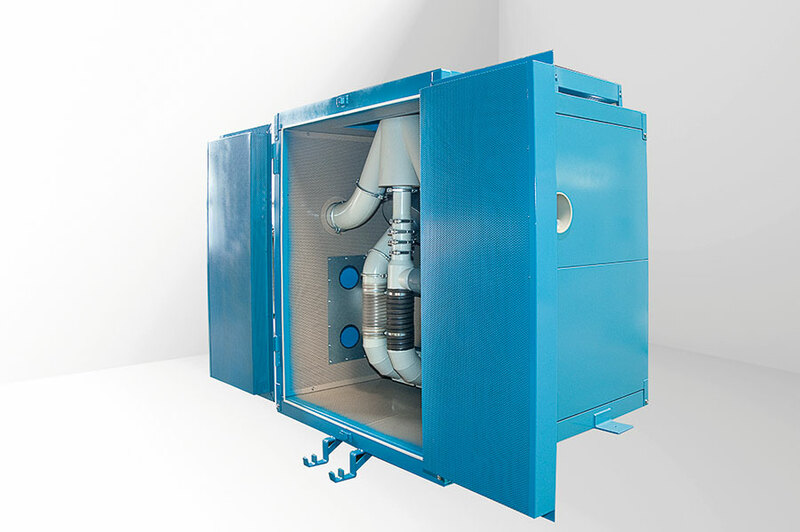 Soundproof booth for the compressor with fresh air intake connections for the drive motor as well an booth exhaust connections, large inspection and maintenance doors.